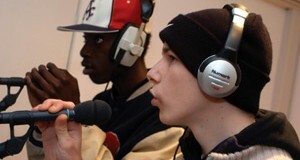 In 2012, Sound Connections drew together music making experts working with children and young people in challenging circumstances (CCC) to establish the CCC Network. As part of this, we commissioned research from Jim Cartwright to identify the key skills and qualities needed to be a music leader working with children and young people in challenging circumstances (CCC), explore pathways into the sector and highlight the key challenges music leaders face when establishing a career. The primary aim of the research was to provide Sound Connections with a strategic resource that will inform the development of the CCC Network and our approach to supporting ‘new-to-the-sector’ and established music leaders. We have now published the findings as a briefing paper.